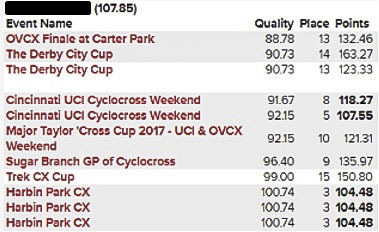 Is Your USA Cycling Cyclocross Ranking Calculated Correctly? 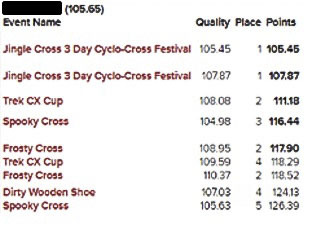 In 2011, USA Cycling revamped its scoring system to better rank riders against one another in local series, regional UCI weekends and Nationals. Last year we did a deep dive on the scoring system, which averages a rider’s best 5 race scores over the previous 12 months. 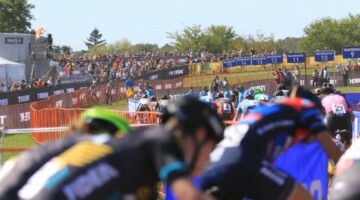 Although many of us might not care about our specific numbers, they are important because they are used to stage amateur riders at U.S. Cyclocross Nationals and for many local races. 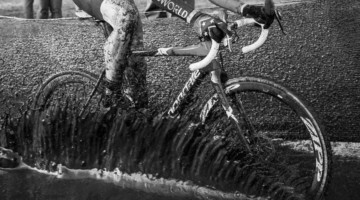 Right now, USA Cycling is in the middle of a massive IT overhaul. 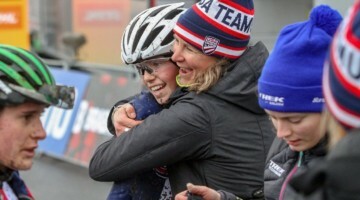 The overhaul includes a new web platform and the phasing out of many legacy features on the usacycling.org website. The Results and Rankings page currently points to the legacy USAC website. One of the many walks of life USAC license holders come from is useful when it comes to numbers. 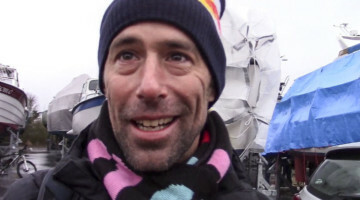 Jim Cochran is a professor of mathematics who also is an accomplished Masters cyclocross racer. Cochran did some digging on the USAC rankings and reached out with some findings of discrepancies in the USAC rankings. In an editorial Cochran sent to us, he identified several issues with the USAC rankings. Below are some examples he included. And in states such as New York and Texas, extremely low (good) ranking scores for some races. For reference, a score of 100 is good enough to be the top-ranked Cat 1 in some states. 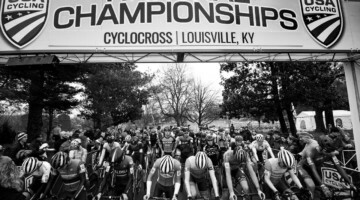 Both Cochran and Cyclocross Magazine reached out to USAC about the issue. “We think we have identified the cause of this. Our IT department is going to experiment with a fix on our development server so that we don’t create errors we cannot fix in the main system. I am working with IT to solve and rectify this issue. We appreciate the investigative work you are doing, and it is very helpful. I can promise you this is a priority but can’t put an exact time/date we will have an answer. As I have answers, I will pass them along to you. Our first attempt is to re-run the rankings from July 1 on, only using prior results, with the hope it clears up the problem. This will allow us to see if a bug in the system happened, or if we need to dig even further into and determine what broke. We have done a check of some of Cochran’s examples. The ones above with averaging errors and multiple race entries appear to have been resolved—at least in the specific cases Cochran cited. The low ranking scores for races in New York and Texas, however, are still present. Cochran also said that he has found scores from Colorado to be “off” as well. The obvious near-term impact effect of these ranking issues is call-ups for Louisville Nationals that start in less than a month. We are currently in contact Hodge and will keep our eyes on the continued fixes to USAC’s rankings. For now, it appears the legwork Cochran has done has at least helped fixed at least some of the low-hanging issues with the rider rankings. 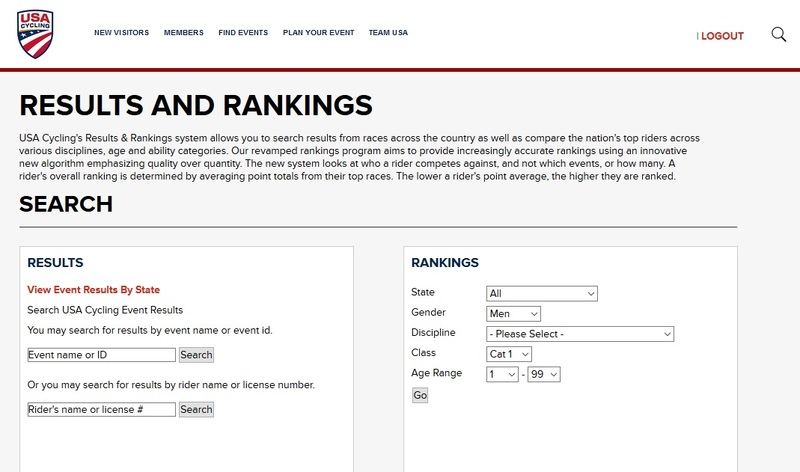 If you do notice additional discrepancies, you can reach USA Cycling at rankings [at] usacycling [dot] org. Well Well Well…..USAC has a system that isn’t perfect. Yet this story is very shallow. How about some true analysis. Will there be some follow up? Looks like there is very little impact on the rank. Racers that take this level of racing seriously have lots of races in the 12 month period. Doesn’t look like the number will change much. Much less a racers position in real life on the start grid. 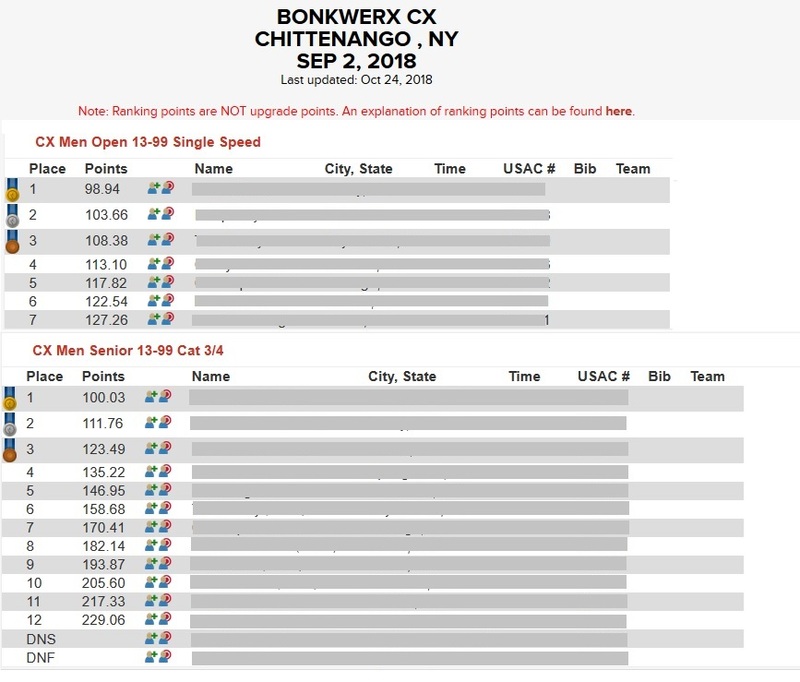 For the individual highlighted for having the same race counted 3x, using the available scores shown, their ranking goes from from 107.85 to 114.99. Depending on the class, this can easily mean the difference of one or two rows in the start grid. To me, that’s a big impact. That rider(in example) has not earned a better call-up or grid position. One rider got a benefit while all the others are being penalized. I bet that is the majority of cases. Riders getting better ranking than they should.